Book in One Word: Ensnowable! Snow Like Ashes was a good book slightly injured by the hype monster. It started out just a wee bit slow--for some reason I just could not get into it--but then it picked up and I was into it and I wanted to see where the story would go. Though I've seen this called high fantasy, I thought that it had a lighter feel to it, and I liked that. 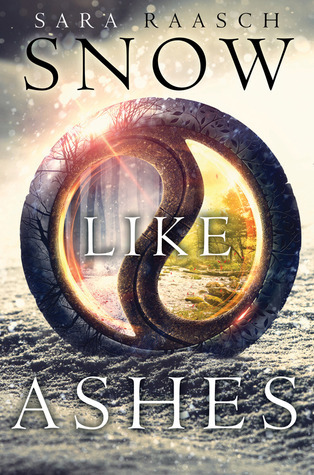 And while it was kind of predictable and I didn't love it, I definitely enjoyed reading Snow Like Ashes, and oh my gosh, can I please have the sequel like now? What makes Snow Like Ashes unique is the world Sara Raasch has built. I won't really explain it because I know I will totally butcher it, but in short: there are eight kingdoms, and four are based off of the seasons (which is pretty cool). The story takes place sixteen years after the Kingdom of Winter was conquered by Spring. We're with the few remaining Winterians who weren't taken captive as slaves, among them Prince Mather, who's survival is important. But it's told from the POV of Meira, who lost her parents in Winter and was taken away from Winter, like Mather, as a baby. (And they are so totally crushing on each other.) And then the story progresses as Meira tries to steal back half of the power needed to restore Winter, and her little ragtag group looks to Cordell, one of the Rhythm Kingdoms, for help (and behold, another prince!). One of the aspects I liked about Snow Like Ashes were the characters. They ran the gamut from kind to vile, best friend to the elder we worship. Meira was a likable POV, and a person who's just looking for her purpose and who really, really wants to fight. I liked Mather, and for a while I shipped it, but then Theron was introduced and, well...I think that's the ship. But it's one of those ships where I'll feel bad for either guy who loses...though maybe Mather less. (So, yes, there's a love triangle. But, to be fair, it was kind of forced on Meira.) I hated Theron's father--Roam?--and the King of Spring was a total evil arse, but a good one. (I kept picturing the second king in Maleficent.) And I liked the whole role Sir played. Snow Like Ashes was slightly disappointing in that it didn't live up to the hype. (A lot of reviews said wow, so I was expecting that. But I also think I can't help but compare most fantasy books to the Throne of Glass series, and that level is really hard to reach.) The writing wasn't my favorite, but it wasn't very bothersome. 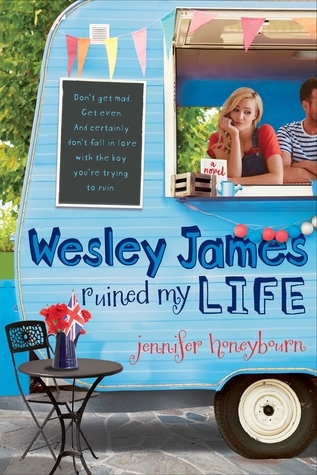 The world was interesting, I liked the characters, and some scenes and plot twists--even if some were predictable--were pretty intriguing and great to read. It also had a lot of things I was not expecting, which was nice. In short, Snow Like Ashes was pretty enjoyable. But give me Ice Like Fire please please pleaseee. Would I reread it? Hmm, maybe. Would I purchase it? Already did, but if I hadn't, I wouldn't say that I needed to have this on my shelves. Who would I recommend it to? Fans of fantasy with a twist on the seasons, a bit of royal intrigue, and fantasies that are a bit lighter than others. I'm afraid to pick this up!! At first every one was raving about it, now people are a little more reserved on their rating! I hope all the raving reviews weren't just cause the hype! Awesome review! I hope I do end up loving it when I get around to reading it! I definitely agree with some points you made there. I reviewed this book a while back and made some of the same points about it being slightly predictable. But I still really enjoyed it - way more so than I thought I would, actually. Now I really have to get the sequel. January, February, and March, Oh My!